A card with no stamping means a card without ink. For this week's Christmas Card Challenges, I decided to pull the colors out of the inspiration photo and use my pretty Graphic 45 patterned paper called Time to Flourish. This is some of the December papers included in the paper pad. Stamps: None; Inks: None; Copic Marker: YG17; Card Stock: Garden Green, Nana's Nursery (DCWV), Time to Flourish (Graphic 45), Whisper White (card base); Accessories & Tools: Pearl Basic Jewels, Bead Trim (unknown), Dimensionals, Glue Dots, SNAIL Adhesive, Paper Snips, Stampin' Trimmer. All Stampin' Up!® product unless otherwise noted. 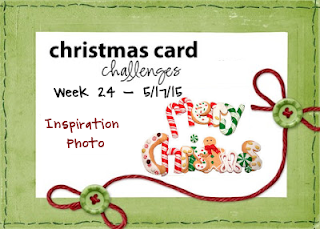 For all the challenge details and more inspiration from our Design Team, visit Christmas Card Challenges. Thanks, Tenia! Don't you just love that Graphic 45 paper! 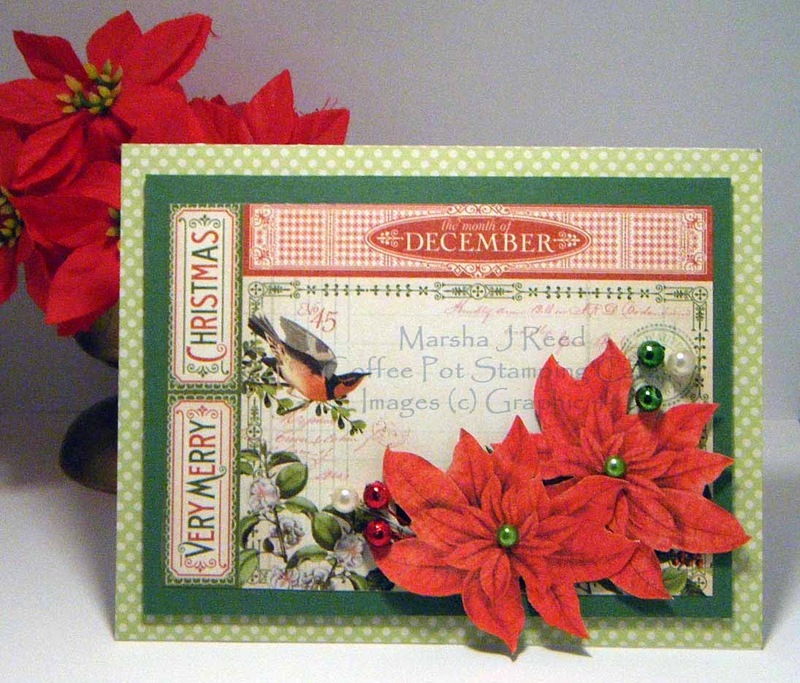 Beautiful card Marsha! I have to go look up that paper! Thanks, Jessica! I love Graphic 45 paper! Paper from graphic 45 is so versatile .love your beautiful card . Thanks, Shirley-Anne! Yes, it is and I love it!